With tomorrow being Thanksgiving I wanted to tell you all THANK YOU for viewing, commenting, following and supporting this blog of mine. 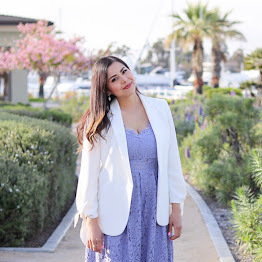 I never expected for it to become what it has and the support I have gotten has continued to fuel my passion in making this blog the best it can be! *virtual hug to you all* May you all have a great Thanksgiving! And now, let's briefly talk about the Outfit! I've been wanting a graphic tee for some time but I didn't want to buy one with a random saying on it, so when I saw this one I blurted "sold!" out loud. 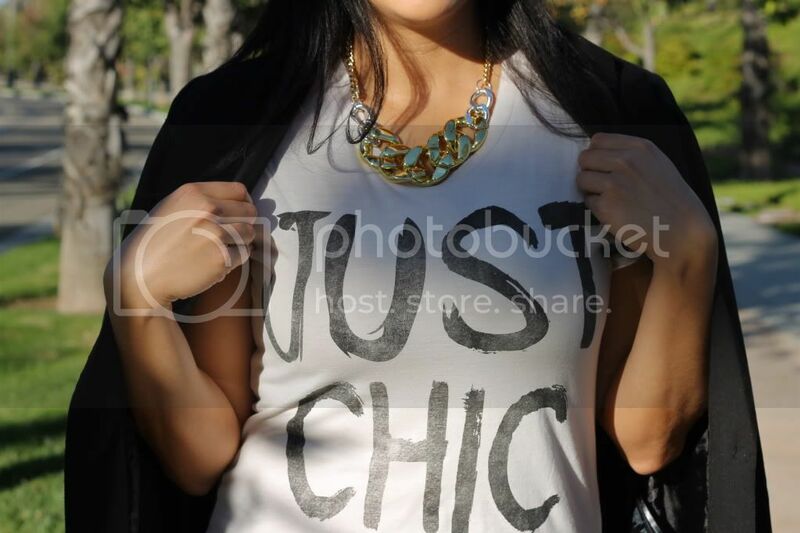 I wanted to dress it up to emphasize the "Just Chic" message so I paired it up with gold and black! ☮, ♥ & Happy Thanksgiving! Happy Thanksgiving to you and your family Pau! I'm thankful for you my sweet friend!! :) I'm totally into graphic tees right now too, I need one! LOVE LOVE LOVE this one. Have a wonderful Thanksgiving Pau!! LOVE your pants! You look fab! Cute outfit! Those pants are awesome. Great outfit! Love those pants!